United Artists, 1936. Directed by H.C. Potter. Camera: Gregg Toland. 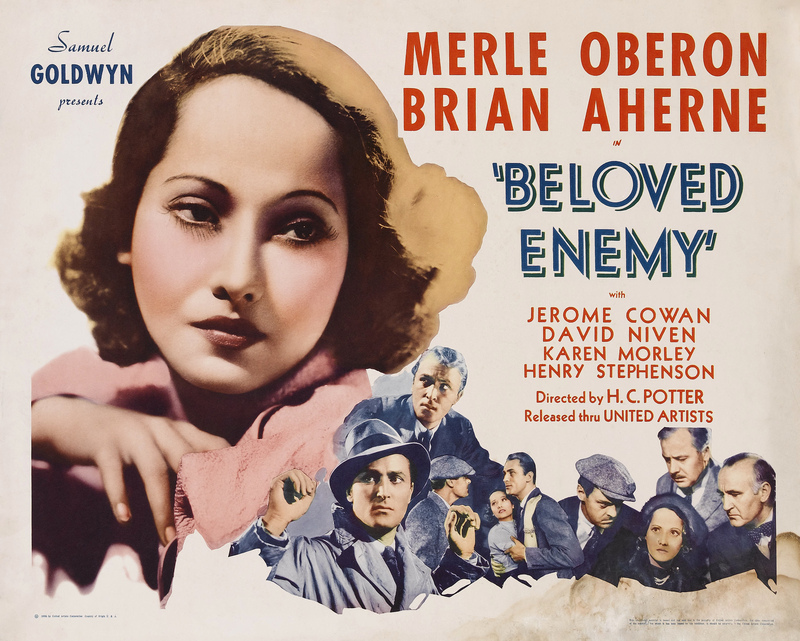 With Merle Oberon, Brian Aherne, Karen Morley, Henry Stephenson, David Niven, Jerome Cowan, Donald Crisp, Ra Hould, Granville Bates, R.J. Kelly, Leo McCabe, Pat O'Malley, Jack Mulhall, Claude King, Wyndham Standing, Robert Strange, Lionel Pape, John Burton, Leyland Hodgson, Frank Roan, Wally Maher, Theodore von Eltz, David Torrence.